The 1951-1953 Plymouth Cambridge was the middle-line of Plymouth’s line-up, and had been largely responsible for the make keeping third in the sales race all three model years. The engines were 1930s technology flathead inline sixes, to be sure but the cars were reliable enough, up-to-date enough, modern enough, built well enough and were clearly good value. Over 483,000 buyers plunked down their own hard-earned money for one. Meanwhile, Chevrolet sold nearly a quarter of the cars on the road and Ford was right behind them. Plymouth garnered about two-thirds of Ford’s sales numbers. The new-for-1951 Plymouth Cambridge was available in four-door sedan and club coupe, with pricing starting as low as $1,703 – sufficiently close to the Ford Custom starting at some $200 less, and the Chevy Styline DeLuxe starting at about $55 less. 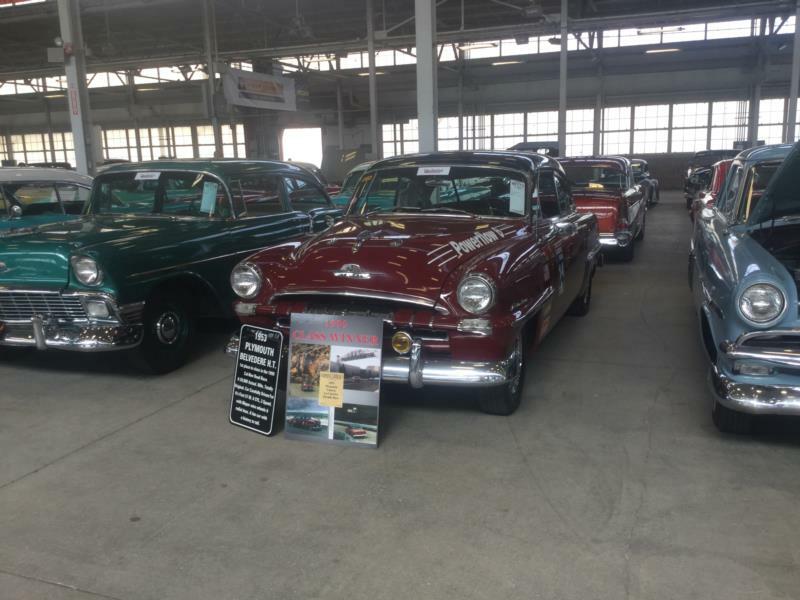 For the extra money, though, Plymouth buyers got a little more horsepower than competitive sixes, an oil pump, aluminum pistons, automatic choke, electric windshield wipers and hardened valve seats among many other features. All 10,000 Dodge, DeSoto and Chrysler dealers from coast to coast and all across the fruited plain sold and serviced Plymouths in this era, allowing easy travel with no concerns for being stuck for parts or service, if any were needed. The 1953 cars had virtually all-new down-sized bodies with 114-inch wheelbase (against 118.5 inches before), but this meant the car was only 1” less in this dimension than the competition. The Cambridge line became the lower priced series that year, but added several body-styles including business coupe, two-door sedan and all-steel Suburban two-door station wagon, priced at only $2,064. The lowest priced car was the $1,618 business coupe. Horsepower was increased by 3 to an even 100. A new, more modern and lighter frame replaced the prior heavy X-braced frame, and some 180 pounds was knocked off the weight, allowing for more sparkling performance.